A great training aid for establishing proper headset. 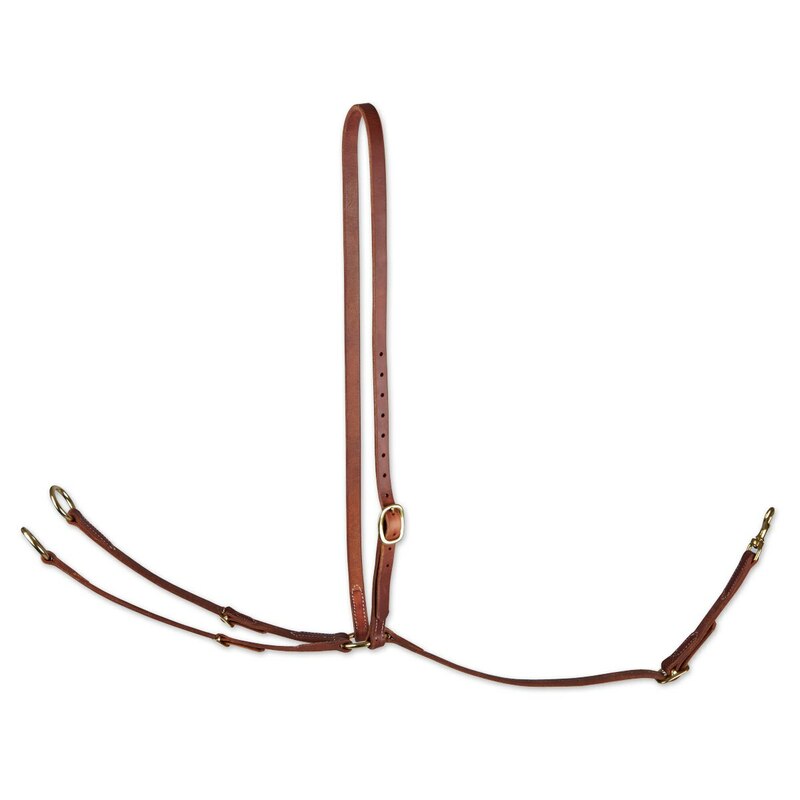 It's fully adjustable, so you can find the perfect fit for a variety of horses. The Rockin' SP Running Martingale was designed utilizing the same smarts, obsessive attention to detail, and insight of world champion riders as our other Rockin' SP products. Featuring the great quality and innovative design Rockin' SP is known for, this running martingale is a cut above your average tack. Special Features Made in the USA. Soft, supple and ready to go right out of the box. Rockin' SP® Running Martingale is rated 3.6 out of 5 by 5. Rated 5 out of 5 by Shell from Love the leather Bought this because the original one i bought didnt come with all the pieces. Love love the quality, love the closures, love all the pre punched holes. Terrific quality. Rated 1 out of 5 by Becky from Huge, clunky, too heavy! I bought this running martingale for my Jumper - it is way too heavy. I didn't even try it on him, because I knew it would be heavy on the reins and put weight on his bit. This is definitely not meant for an Appendix Quarter Horse Jumper. Thank goodness for SmartPak's excellent return policy! Rated 5 out of 5 by Breezy1992 from Love it!!! Awesome quality leather, well built, perfect for the price! Rated 5 out of 5 by Lighthands from excellent quality wow, so happy with this purchase. Great quality and really made to last. I like the weight of the leather, it gives a nice feel. Rated 2 out of 5 by Ralphie from Mixed emotions Jury is still out on this one. The leather is a gorgeous buttery delight and the hardware is nice. But even with the neckstrap to support it, it's so heavy that the rings actually put weight on a loose rein. I have a good sized horse and I needed to adjust the front martingale staps down to the last hole. Even then it still seems ineffective. Having trainer check it next.